If you’re debating where to tackle your holiday shopping list this year, the brand new Cactus Club Cafe at Sherway Gardens makes the shiny, freshly remodelled Etobicoke mall an easy choice. 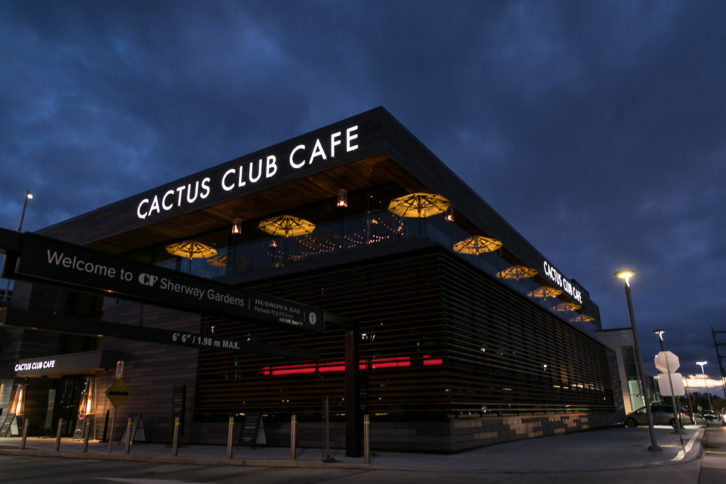 Marking its second Ontario location (the first of which, of course, spans three bustling levels of prime real estate in the city’s Financial District), Cactus Club Cafe opened its doors at Sherway late last month. 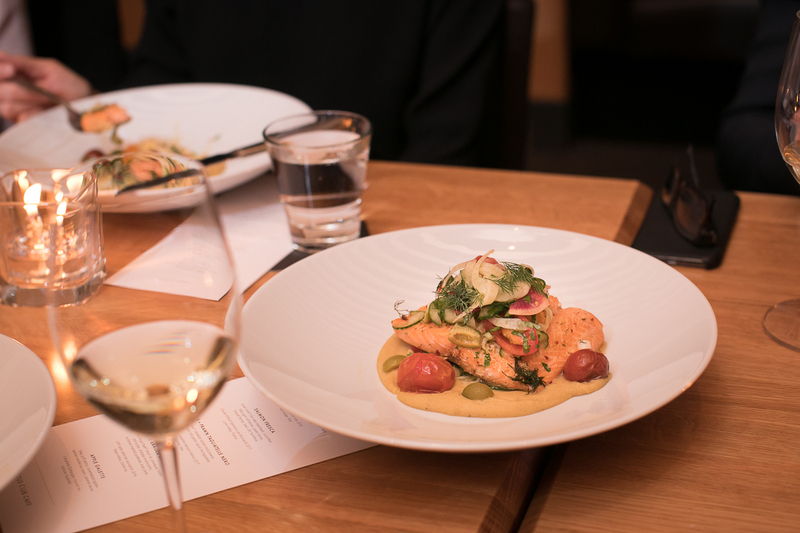 Consistent with the ever-growing Cactus Club Cafe brand, the food is comforting and creative – approachable, yet refined and memorable. The menu at the Sherway Gardens location features a mix of reliable favourites and new highlights created by their Test Kitchen, led by world-class chefs including Chef Rob Feenie (Iron Chef America and Iron Chef Canada) and Chef Cory Vitiello, Head of Culinary Development, Toronto. Beloved signature dishes, such as Chef Feenie’s Butternut Squash Ravioli with Prawns and Double-Braised Short Rib, make an appearance on the menu here, as do new quick favourites like Chef Vitiello’s Lobster and Prawn Tagliatelle Nero with pistachio green chili pesto (exclusive to Sherway Gardens), and Mediterranean-inspired Salmon Fresca with fresh herbs, baby gem tomatoes, shaved fennel and hummus. Personal menu highlights include the Szechuan Lettuce Wraps, the Hunter Chicken (complete with a mushroom demi-glaze and dreamy buttered mashed potatoes), the Baja Fish Tacos, and the beef carpaccio. New vegetarian and vegan menu items include Tofu Lettuce Wraps and the Grilled Tofu Modern Bowl. To accompany the culinary goodness is an extensive wine (wine by the glass is served in either six-ounce or nine-ounce options) list that will please any palette and a cocktail list that includes both reliable classics and about a dozen creative gems. The restaurant’s art is worth a visit in itself, and the sprawling space practically doubles as an art gallery, with conversation-provoking pieces from some of the world’s best-known artists gracing its walls. These include pieces from Andy Warhol (no big deal), the influential Jean-Michel Basquiat, Japanese contemporary artist Takashi Murakami, well-known LA street artist Mr. Brainwash, and Toronto’s own rising star Daniel Mazzone, whose massive painting adorns the walls of the two-story entrance. Another talking point of the space – and something that will be appreciated after a summer shopping session – is a large retractable roof. This is one of the largest of its kind found at any restaurant in North America and definitely one of the stars of the show. The restaurant will offer daily afternoon and late night specials, as well as half-price bottles of wine on Tuesdays and Wednesday. Personally, I can’t think of a better place to unwind (with a large glass of red wine in hand) after a chaotic few hours spent in a crowded mall during the holiday season. But be sure to book a reservation in advance.